Pecan is considered one of the most valuable nut species. The word ‘pecan’ means “a nut too hard to crack by hand”. Its scientific name, Carya illinoensis is from karyon (an ancient Greek name for nut) and a Latinised version of Illinois (meaning the nut that grew in the territory occupied by the Illinois Indian tribe). This member of the Hickory family originated in North America but Pecan trees have been growing in New Zealand for more than 100 years. The enthusiasm of Owen Long and others who worked with the early trials has no doubt helped create the recent upsurge in interest. Pecans can grow throughout NZ especially well throughout most of the North Island and the top of the South Island, though cultivars are available to suit most climates. Some of the North American cultivars are now grown as far north as Ontario as well as in Hawaii. Our windy conditions however seem to mean large branches are often blown out. Therefore pecans should be grown in sheltered sites and for nut production the pecan will probably need our most favourable climates for warmth and shelter. Approximately 150 to 210 frost free days are needed through the growing season for nut production. The rainfall ranges from 760mm – 2010mm with water needed to initiate nut growth , increase the size and to prevent nuts drying out and dropping prematurely. Temperatures need to be warm enough to sustain an adequate growing season, with a chill spell during the winter dormancy. The pecan can stand heavy frosts when dormant, but late frosts prevent fruit setting and even kill fruit that has set. Thus a site with good air-drainage and a frost free period from the initial growth stage in spring until the nuts mature in autumn is required. Relative humidity above 80% interferes with pollination by preventing the opening of the anthers. Leaf and nut diseases of pecans tend to be more severe where humidity is high. The pecan grows best where average summer temperatures are within the 25°C to 30°C range with little difference between night and day temperatures. It has a definite cold requirement: 750 hours below 7°C has been suggested in overseas literature, but again there are definite clonal differences in this respect. Of the more than a thousand cultivars of pecans over 40 are under evaluation in this country. At present cultivars have not been tested enough to make hard and fast recommendations. Some will most certainly suit specific regions better than others. Other considerations are that with some cultivars the ripe nuts fall freely from the trees within a short time span. With others, the grower has to shake the trees to dislodge the nuts. The only indication of cultivars performing well are Mohawk in Gisborne and Apache doing reasonably well in Nelson. However considering the short time this assessment has been going on, nothing clear cut is indicated. Obviously a lot of patience is needed with this crop. A sensible approach to cultivars however is for South Islanders to try the Northern cultivars and the warm sites in the North Island are more likely to suit some of the others. Pecans are wind-pollinated and cross pollination is important so this should be taken into account when planting out. Even in North America it is recommended to have at least four cultivars that are known to cross pollinate in an orchard, that is with similar leaf out/leaf falling times. One of these two cultivars should shed pollen before the emergence of their female flowers, and two should shed it after their female flowers. All trees have both male and female flowers, (monoecious) but the male catkins rarely shed pollen when the female flowers are receptive. The staminate flowers develop from axils of leaves of the previous season or from inner scales of the terminal buds at the base of the current growth. The pistillate flowers appear in short spikes on peduncles terminating in shoots of the current year. Since two kinds of flowers are produced on the pecan, pistillate and staminate, the pollen must be transferred from the latter to the former so that pollination may take place. Others not listed are in the unknown category. Pecan trees will grow in a wide variety of soils but do not like permanently wet sites. However it is not recommended to plant them in your best ground. In Israel they are reported to do well in heavy clay but reasonable drainage is still needed. As vegetative growth in New Zealand is often excessive, a less fertile soil is probably a good choice. If the soil is poor, ie, shallow, poorly drained, tight with poor aeration, the management program, regardless of how good it is, cannot overcome such soil limitations. Trees can be grown on such soils but long term economical production is not feasible. Pecans are native to river and creek bottoms, the soils of which are deep, fertile and well-drained and have substantial water holding capacity. Pecans require at least 1m of well drained soil above the minimum depth of the water table to develop a strong root system. Pecans planted on shallow soils having poor internal drainage never develop into large, productive trees. Water is critical to obtain full sized nuts, as well as to fill out the kernels. Water stress in mid-summer drastically impairs quality and reduces next season’s crop potential too. Steep slopes will cause difficulties with harvest. Seedling pecans may not start bearing in worthwhile quantities until they are ten years old, but from then on yields increase annually. Budded or grafted trees start bearing about 4-7 years after planting. Some trees are alternate bearing. Yields at maturity vary from 45-450kg/tree. The possible yield is 3 tonnes per hectare and a figure quoted was $2 per 100g. Pecan nuts have smooth brown mottled shells with a greater proportion of kernel than walnut, and thinner partitions separating the two halves of the kernel. Their shape varies from long cylindrical with a pointed apex, to short and roundish, with many intermediate forms. Nuts should be symmetrical, large (no more than 110/kg) and with good kernel. Kernel percentage varies but an average of 40% is considered satisfactory. Taking care of the nuts when they fall is important. Pecans last a long time, particularly when frozen and can hold their freshness for up to two years. Store shelled or unshelled. Nuts in shell retain quality longer than shelled and large pieces store longer than tiny pieces. Pecans do not come true from seed, and every native or seedling pecan tree is distinctly different from the seed parent. Large nuts should be used as small nuts can lack vigour, and their reduced size may also be due to disease. Only large vigorous seedlings should be used for further propagation. Seeds lose viability under warmed dry storage conditions therefore they should be stored at 0°C immediately after harvest until planted. Mid-winter planting with the seedlings emerging in spring seems to be the most successful timing. It is relatively easy to grow seedlings for rootstock with a similar method to that used for walnuts. If the nuts have dried out, soak them in water for about five days before planting to improve germination. Stratify seeds (cold treatment 1°C to 3°C) by placing the seeds in damp sphagnum or peat moss in a plastic bag in the bottom compartment of the household refrigerator for 8 to 12 weeks then as each seed shows signs of sprouting it should be remove and sown. The kernel of pecans and similar nuts consists of two halves (cotyledons). Research overseas on the Persian walnut shows that the best planting position is horizontal with the plane of the suture line perpendicular to the soil surface. Sow 2 to 5 cm deep in pots (PB10), nursery row or permanent position. Keep only the strongest straightest seedling. Avoid getting the taproot bent. In the ground nuts should be planted at intervals of 20 to 30 cm at depth of 5-8 cm and in rows 2-3 m apart. Seedlings must be adequately watered at all times. A little nitrogen often assists growth. Grow on to size needed for budding or grafting. Pecan trees have a very long life span and can attain a great size. However to increase their profitability in early years interplanting is advisable. Initial planting may be on the square system 7.5m x 7.5m or 175 trees per hectare. Alternate diagonal rows are removed at the first thinning and then alternate rows for the second thinning. The remaining trees would be at 15m x 15m spacings. Tree removal should be done when sunlight in the orchard floor does not reach 30-40% in the middle of the day (Malstrom, et al. 1982). Immediately after planting trees should receive a thorough soaking with water and again a week later. Over irrigation of young tree can result in rotting of the roots. An occasional check is necessary to see that no growth develops from below the scion. Remove it if it does. Animals should not be allowed in the paddock for at least three years after planting unless the trees are protected. Where it is intended to graze stock the stem should be trained to 2m free of side branches. 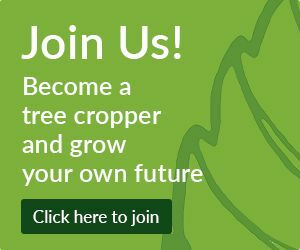 These ungrafted trees make good landscape trees because they characteristically have strong, fast growth and a natural central leader without training. Nut quality is variable but at least acceptable. Seedlings usually are better in structure and appearance than improved variety trees. Seedling trees rarely bear nuts as early as improved cultivars. There are some seedling trees grown from Australian seed performing well. Vegetative propagation of pecans is by budding or grafting selected cultivars onto seedling pecan rootstock as these bear much sooner than seedling trees. The rootstock can influence the performance of the scion. Seedlings on one Hickory species, Carya aqautica, could be used on some of the wetter land bordering the Gisborne plains. Pecan scions will grow on Hickory trees but the nuts are usually somewhat smaller than nuts of the same variety from trees on pecan roots. Leafy, softwood pecan cuttings will root under mist. Plants can also be propagated by root cuttings or trench and air layering. Young seedlings are tender and should be shaded from bright sunlight. Budding and grafting are exceptionally difficult, so if possible leave this to the Nursery. Ideal conditions for this are 26°C for 2 to 3 weeks – not possible outside in NZ – so a hot box as used for walnuts would be the thing to try. Outside budding and grafting is a hit and miss affair, but if trying this, do it during the warmest part of the season, January/February. Some success has been had with Four Flap Grafts, Shield Budding and Whip and Tongue grafting. In the summer towards the end of the second growing season, or in early spring of the third growing season, the seedlings are large enough to bud to the desired cultivar. Patch budding is the usual method. Current season buds are used in late summer and these buds are not forced until the following spring. Previous season buds, whether fresh or stored can be used for spring and early summer budding. Stocks with buds that take early should be headed back that season. Special precautions are necessary to prevent drying out before callous formation takes place. An alternative method of producing the desired cultivar is by crown grafting (where the grafting is done at ground level) in late winter or early spring using the whip and tongue method. The seedling rootstock are whip-grafted shortly before and during the time that they start growth at the beginning of the second and third growing season. Like the walnut, the pecan is not easy to bud or graft but the use of a grafting box with a constant temperature of 27°C for 3 weeks improves success. Hygiene is important. The union should be wrapped with plastic budding tape and the cut end of the scion should be waxed. After the new top grows for one or two seasons the nursery tree is ready to transplant to its permanent position. The long taproot necessitates very careful digging and replanting. Pecans have a very long taproot and a spreading root system which may extend to about twice the spread of the tree. A two year old pecan tree can have a taproot over 1m in length. Once the taproot is well established lateral roots are produced. The best soils for pecans are those which allow unimpeded growth of the taproot for at least 2m. Bare rooted planting can begin once the trees are fully dormant. Young trees must be watered regularly until the taproot establishes. Prepare planting site by digging hole 45-60cm wide and 60-90cm deep. This is large enough for most seedlings. Care should be taken to spread the roots so they are not matted together. All broken roots should be trimmed. Add soil in small amounts at a time while carefully spreading other roots until the hole is filled. Water the soil well to remove air pockets and firm the soil around the root system. Do not fertilise at planting time. Pecan mainly makes subterranean growth during its first year. If conditions are at all harsh, newspaper etc can be tied to the tree about 15cm from the surface of the soil but leaving the top protruding. This cover is needed only for the first year. This is important as the tree when planted has only enough sap to keep it alive. If the tree is not covered it can dry out during the 4-6 months it takes to establish. This in turn can lead to the stock (of no commercial value) growing and graft dying. This has been experienced in the Gisborne area. Pecans require relatively high amounts of the major nutrients, compared for example to pasture. These nutrients are Nitrogen, Potassium, Phosphorus, Magnesium, Calcium, and Sulphur and are kept in the correct ratio by soil tests and leaf analysis and can be adjusted by the application of solid fertilisers. Pecans also suffer badly from the lack of trace elements here in NZ where the soils are very different from their native USA. Trace elements in our experience are best applied to the foliage of most plants. As pecans are unable to take up enough Zinc from the soil it is essential to use a balanced trace element spray as dictated by annual leaf analysis in conjunctions with soil tests. These need to be interpreted by someone familiar with the requirements of Pecans. Most of our success in grafting and nut production can be attributed to the used of chelated trace element sprays. Chelates aid absorption through the leaves. Americans list Zinc, Iron, Manganese, Boron, Copper, Molybdenum and Chlorine as essential trace elements, with emphasis on Zinc and Iron. Our soils are high in Iron and Manganese (Woodhill) and while we have adequate levels of the other trace elements for pasture and stock health, these are only a fraction of the Pecan’s requirements. Boron is not given any importance in the USA because their irrigation water is high in the element, but must be applied here for cell strength – ie breakages. It is also essential for a good nut set. Because clovers supply much of the Nitrogen needed for good growth here in NZ foliar application of Nitrogen must be kept to lower levels than what is used in the USA. We often have sufficient nitrogen in our soils so be sparing with this element if you get excessive shoot length though the growing season. US growers apply as a rule of thumb the 30/50 rule. If new shoots on an established tree are less them 30cm long then the tree needs more nitrogen. If the shoots are over 50cm the tree is getting too much. Jung Wen Chiang M.A. 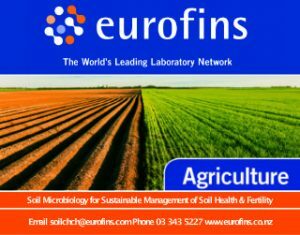 manufacturer and importer of liquid and solid fertilisers has kindly offered his services interpreting solid and herbage tests in conjunction with Ron and Alison Ellett. We have few pests to worry pecans in NZ so spray programmes can be kept to a minimum unless a problem is encountered. Quarantine, so far, has kept problems out. Growers should therefore report anything suspicious to MAF whose phone numbers are in the Blue Pages of your phone directory. Other problems are wind (broken branches), opossums, borers, shield bugs, bronze beetles and cicadas. Eastern cultivars are adapted to more humid conditions and are less susceptible to Pecan scab (Fusicladium effustum) . While it is not established in this country the importance of trying to establish pecans without the disease must be stressed. Pecan scab is characterised by irregular brown to black spots on the leaves and circular spots on the nuts. Named pecan cultivars arrived in New Zealand from the early 1970’s with more introduced in the 1980’s. It has become obvious through reasons of poor performance that a number of selections are not suitable for growing here because of low wind tolerance, poor flowering, low fruit set, incomplete nut filling, low kernel quality and small nut size. It is beyond the scope of this fact sheet to discuss the merits or otherwise of specific cultivars because experiences differ from region to region. Growers with older trees may need to replace their poorest performers with their best producing trees. The quickest way to increase production is to rework the existing trees rather than replant with new ones but make sure the pollinator trees are not removed. Experiences of reworking larger trees up to 30cm in diameter has shown that inlay or bark grafting and summer patch budding do not give good end results. Inlay or Bark Grafting using dormant wood stored for use during the current growing season can have initial high success rates but later prove disappointing. This is because using dormant wood which has been stored for several months increases the risk of infection. The large cuts are hard to seal, especially with the strong sap flow from the root system which increases exposure to summer pathogens. These inlay grafts are very weak at the union and remain so for up to four years before the callous is large enough to buttress the subsequent growth. You also need to continuously de-shoot the stock to force the grafts. This lessens the tree’s ability to recover at a time of the year when most of its reserves have moved into the top that you have just removed. Summer Patch Budding is where unburst buds from the previous season are cut and patch budded onto smaller side limbs closer to the trunk, or on to younger trees. These can be forced a month later in January by cutting back to the bud but the same problems of large cuts in summer apply as outlined for inlay grafting. If possible, patch bud into small side branches during late summer using the current season’s buds. Put at least two on each tree as a safeguard. Small side branches have tissue arising from within the main stem and are much stronger than shoots starting on the outside of the trunk. If there are no suitable side branches, cut the tree off at shoulder height making the cut 40°from the horizontal so that the high side is to the prevailing wind. This should be done in the winter and sealed immediately with pruning paint. Nutrients coming up the trunk seem unable to translocate horizontally around a flat cut resulting in die back down the side of the trunk opposite the growing shoots. During the following growing season select 3-4 shoots from near the top of the highest side and tie them together for mutual support as they grow. Patch bud two of these during February or March. Cut back to the successful buds during the winter and remove the unwanted shoots. Keep one of the original shoots for rebudding if only one bud has taken. Cut this shoot back by half. Staple or nail a flexible rod (fibre glass or PVC) to the trunk and loosely train the growing shoots up this. Select one shoot for the main leader and pinch the tip out of the second in January. The second can be used as a spare should the main one get damaged. Allow other shoots to grow from the base to remove some of the vigour from the new buds. During the next winter cut the larger graft back by one third and the smaller back to 2-3 buds. Cut off long side branches. Remove any other rootstock regrowth. Loosen off the ties to allow for expansion during the following season. During the second season ensure the ties are not too tight and remove any unwanted regrowth from the stock. Many buds will burst and grow including a number at the top. These will be spaced further apart than would have been the case had the tip not been pruned off. This makes sure that if one is damaged the others will not be weakened at the same point on the stem. Remove any breakages during the growing season, otherwise do not form prune until the following winter. This subsequent winter pruning should see one leader left at the top of the tree with one third of its tip cut off. Potentially competing branches below this should be removed. Further down the stem where two branches arise, remove the uppermost one thus allowing a flatter angle to the remaining limbs. The ties and supporting rods should be able to be removed. Keep the spare bud until such time that you feel confident that it won’t be needed. In the following years prune as per normal, removing narrow angled branches arising near each other on the main stem. A reworked tree should show signs of nut production in the 3rdor 4thyears. Pecan flowers from September to November about a week after the leaves have started to open. The nuts mature from March to April and fall March to June. Pecans are a sought after nut and increasingly so in New Zealand. They are obviously a favourite with Americans but lesser known to other nations The USA production is increasing annually. Australians must have a greater appreciation for them as they are now producing their own. New Zealand is a long way from producing enough nuts to make any impact, and there are not many plantings with significant yields. The greatest concern with local production is the small size of the nuts. This should be improved and we need to find cultivars that will produce good yields of large nuts. This could be a young tree phenomenon and also with climatic changes this may alter. Without a sample crop market potential remains unknown. We could speculate – but just that. Obviously pecans are quality nuts and if we can produce them the market should be there as overseas inventories are decreasing. Apart from nut production, pecan timber could be another choice for pecans. It is a valuable timber and good quality in this country. Seedlings would be relatively easy to train for a straight trunk and this could minimise branch breakage. Twenty-five years has been mentioned as a possible timber harvest which easily matches pine growth. The faster hardwoods grow the better the timber quality. Pecan yields hard strong timber used for furniture, flooring and tool handles. Also excellent source of firewood and BBQ or food smoking. As pecans have an invasive root system they could also be used for erosion control. This is being tested but no conclusions have been reached. Other sources NZ – G Halliwell, R Pollock. Internet Sites – Universities in USA. There are many sites available with useful information and a searchable index of cultivars with some pictures. Compiled by: Gail Newcomb, November 1998. Updated September 2000. This crop guide was produced with the latest information available at the time of publication. This should not be considered the ultimate in information for New Zealand growing conditions: it is just a basic guide on the subject. If any member has information to add, or feels that any of the information is misleading, please use the contact below.